Then my kids grew up, started to care what they wore and now they look like they are homeless half the the time. I still try to semi-coordinate for holidays like Easter or Christmas, but generally my people just roll their eyes and tell me no thank you. A few weeks ago when the girls and I were shopping in Old Navy we each picked out a few items and realized that they all matched. I swear we didn't plan it and realized it only after we were in the dressing rooms. Shocked that they didn't turn their noses up at it after they realized, I jumped at my chance to live out my matching outfit dreams and headed to the register as fast as I could! 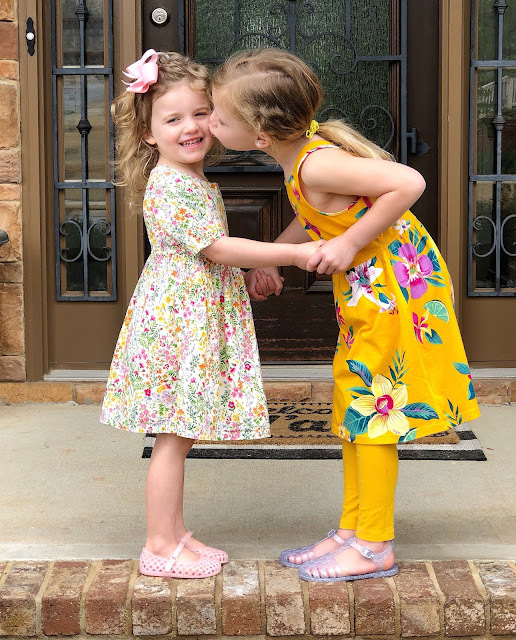 They gave into my pleas to wear our pieces just once on the same day so I could get a pictures...just like old times! 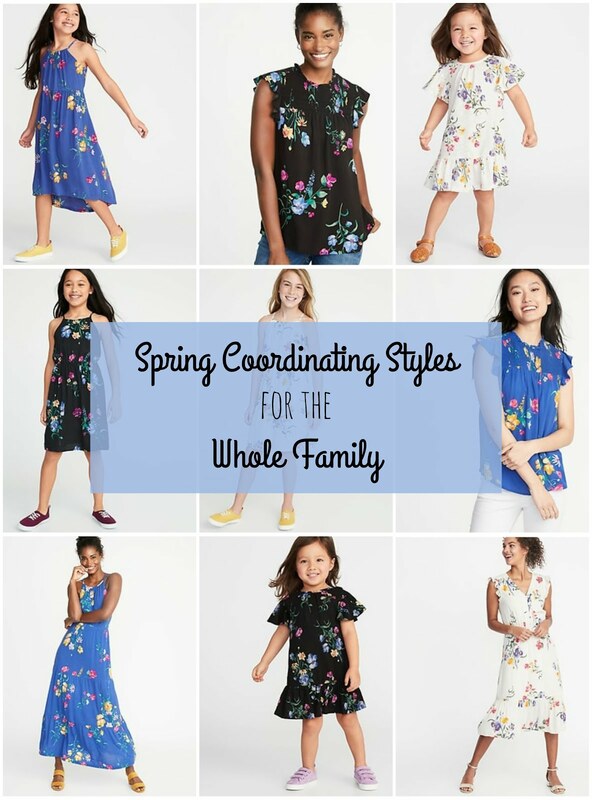 Once I started looking around on Old Navy's site I realized that I must not be the only one who likes her family to coordinate because there are a ton of fabrics, prints and styles that coordinate from women's to girls to baby. AND, they have an entire page dedicated to family matching. I've always loved Old Navy for inexpensive, but cute items and now I love them even more...they are my people! But have also worn it with regular jeans, too! 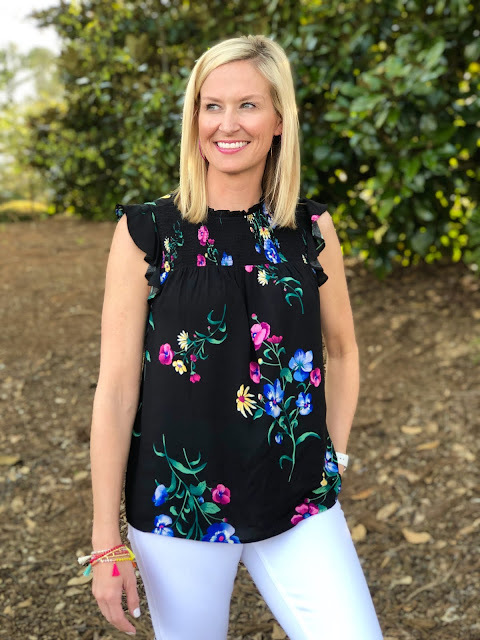 It's just a fun, easy to throw on top that make you look and feel a little more put together than wearing a t-shirt. And did I mention it's on sale for under $15?!! 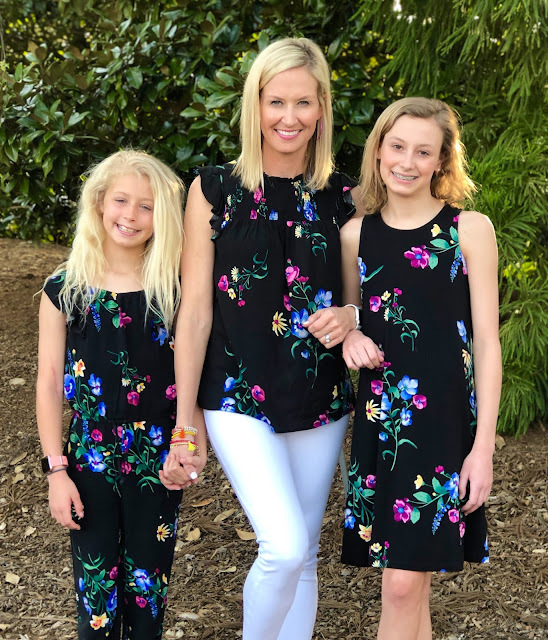 After talking to Jen about their family coordinating styles she told me she had actually picked up a few things for her girls that coordinated, too! 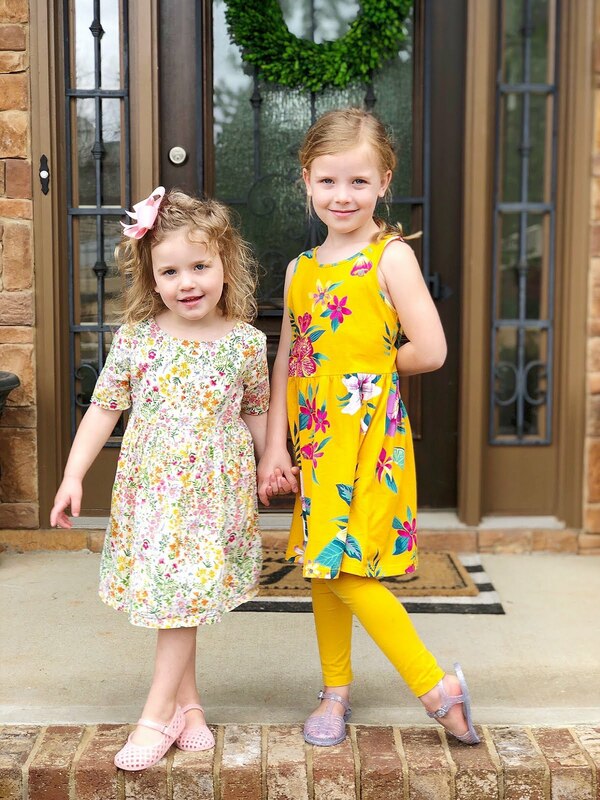 Same colors, just different floral prints, but love how sweet and cheerful they look! They're having a big sale right now and almost everything is discounted in one way or another. 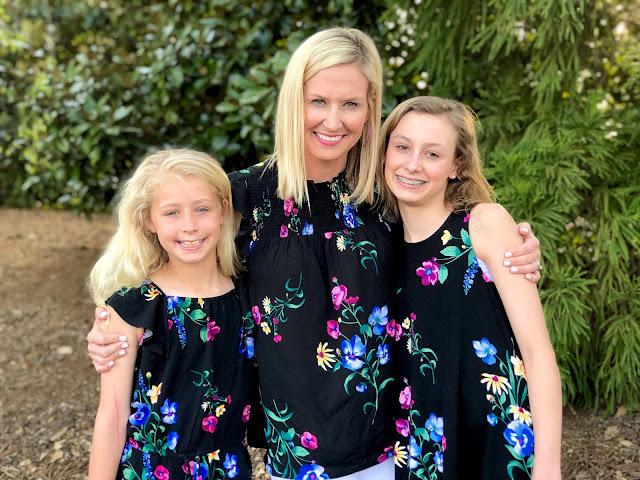 It's a great time to stock up on some basics for spring now that the weather is finally warming up or pick out a few matching styles for Easter, spring events, photos, outings or even just a photo op like the good ol' days! While we are on the subject of Old Navy I also want to share this cute top! It's a linen blend and I love the flutter sleeves. That's a huge trend right now and I love it because it feels so feminine! 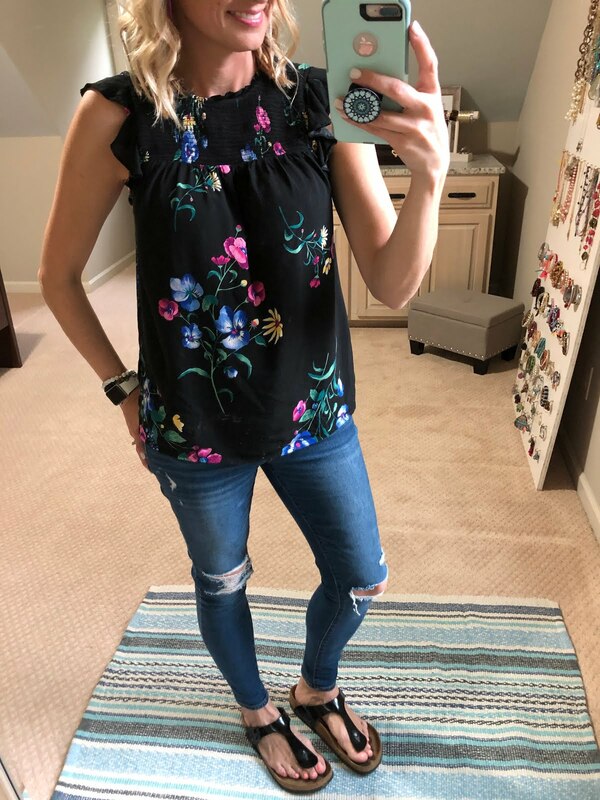 This one is also one sale for under $15 and I will be wearing with white jeans and my denim cut-offs all spring and summer long! My jewelry is from InspireDesigns. If you haven't had a chance to read about our behind the scenes tour and meeting with them, you must!!! They are a local Atlanta company and have such a cool story! Click HERE to read. It's SO, SO good and they shared a discount code with our readers! Use code MAGNOLIA to receive 25% off! 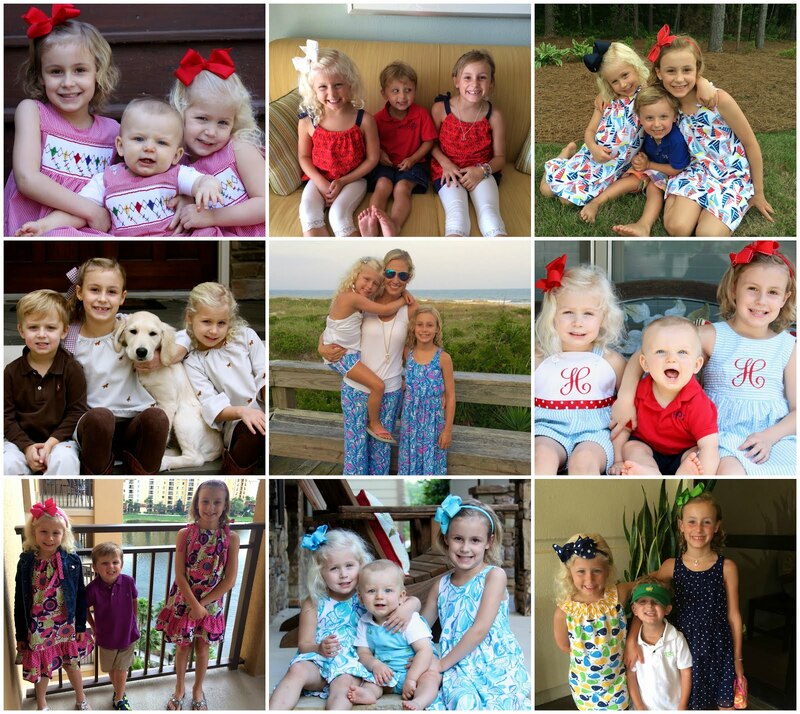 Do you like coordinating you kids' clothes? Even just for special occasions?